This book was conceived in anger and pain, raised in angst and revelation and completed in self-discovery and love. 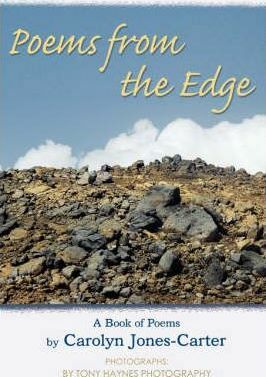 These poems are the children born out of my going over the edge, my recovery and my reinvention of myself, for myself, by myself. I believe that we all go through challenges in our lives where all seems hopeless. We all have times when we see no way out of our situation. Before we can begin to deal with our challenges, we must first give validation to the emotions we are feeling. Don't deny your pain-make it work for you! It is hoped that in reading these poems, readers who have suffered through a personal tragedy will know that they are not alone, and that all is not lost. After much therapy and some deep soul searching, I can honestly say that I believe that God has a plan for each one of us. If we hold onto our faith and trust in Him, then we will have the strength to survive the challenges in our lives. I say this without reserve-there is a light at the end of the tunnel.